Thankfulness and Winter Goddess on the Radio. Hello everyone! With the end of the Summer Market season and the advent of the Craft Show/Holiday season, Terry and I have been pretty busy balancing production, managing products, demos and direct sales, with my two surgeries, rest and rehab. 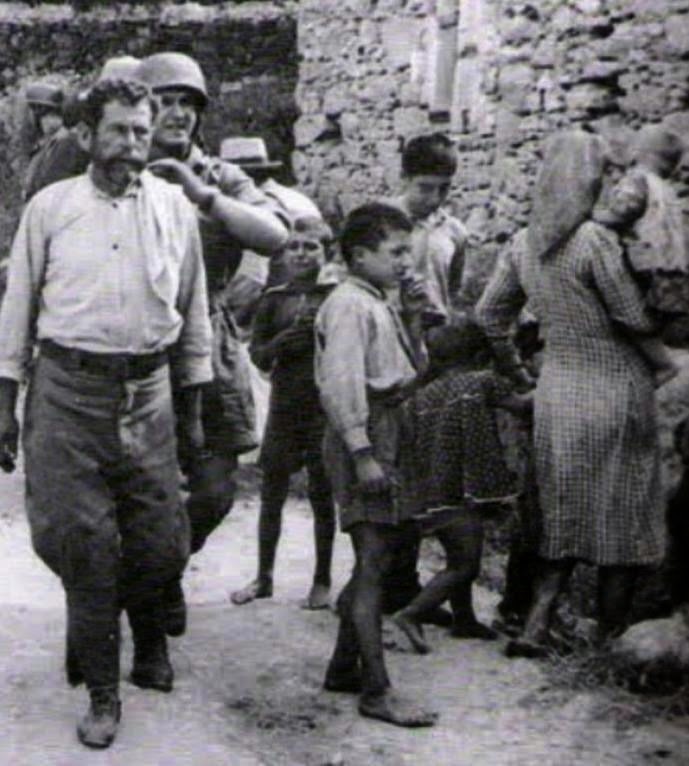 As challenging as this has been, we have seen it through without too much strain or pressure. In the meantime, a number of wonderful occurrences have taken place, which have caused us to be very thankful for what we have. We recognize that especially with the wrong mindset, it is very easy to lose what you have; even through no fault of your own. This holds true not just for material belongings, but for relationships, family and our own health and well-being. 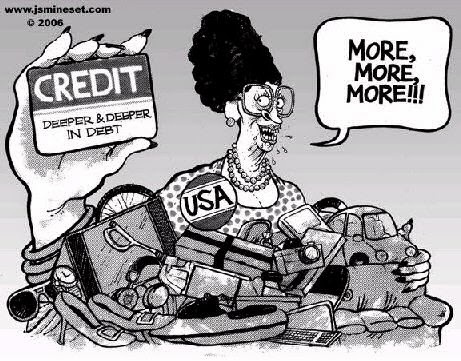 what we already have. And while there is certainly nothing wrong with desiring, buying and having nice things, when the pursuit of material gain becomes the be all and end all of living, this behavior results in being unappreciative and even ungrateful for what we have already been given. Unfortunately the way our world has been heading nowadays, we have many (and even daily) examples of lives lived in an unthankful manner which leads to dissatisfaction, selfishness and ultimately needless suffering. Living a life of thankfulness is not hard. It just requires a change in mindset. It is appreciating the things that we DO have, rather than focusing on all the things we DON'T have. 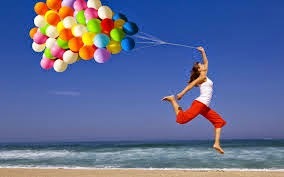 Being thankful on a daily basis makes life happier and more fulfilling. With Thanksgiving Day almost here, I'm offering you a friendly challenge. 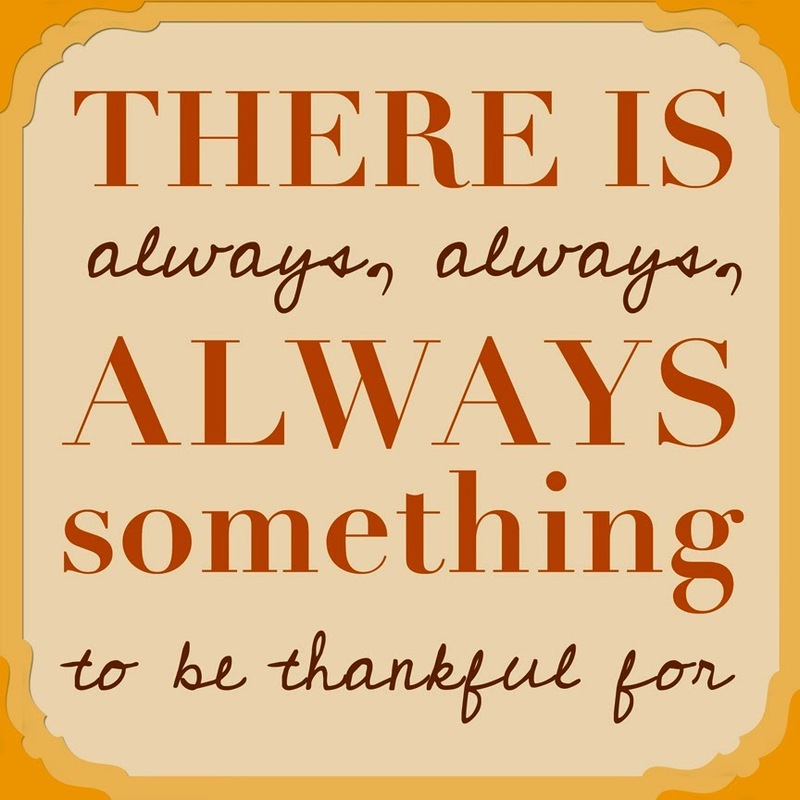 Take a few minutes before your family gathering, holiday meal or football game, and think about all of the things you have to be thankful for. You will be surprised at just how "rich" you are. OK. End of soapbox here. Last Saturday morning, Terry and I had the privilege to be on AM 950's Wake Up Call show, talking to Laurie Beth Fitz (our host) about Winter Goddess Foods, our business philosophy, and about our newest good fortune; namely the addition of our newest wholesale partner Lakewinds Food Co-op, and the expansion to a second store for Oxendale's Market, another of our wholesale partners. It was a lot of fun talking about our labor of love, and having the chance to discuss subjects that we are passionate about. 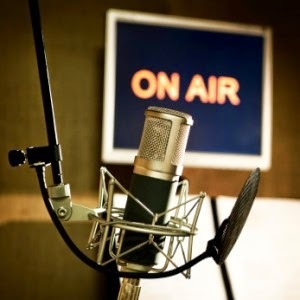 If you are interested in hearing the show in it's entirety, please click the link below and check us out! Until next time, Blessings and Happy Thanksgiving! Today, I'm gonna get fresh with you! No, not like that. I mean fresh as in fresh produce. 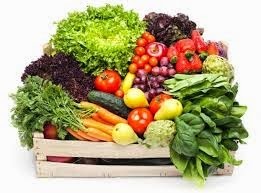 Years before Terry and I started Winter Goddess Foods, and became more health conscious with our eating choices, I remembered one year where the produce at our local supermarket was terrible. The cherries tasted rubbery, the apples were spongy, and melons had no flavor at all. The vegetables weren't any better. Asparagus tasted woody, the potatoes all seemed to have bad spots permeating the entire spud, and carrots lacked snap and sweetness. In short, the entire produce section sucked! "prism colored" store where we normally shopped. Things were just as bad at the "baby animal" market across the street. Bins of polished, uniform produce lined their shelves as well, but the selections didn't taste any better, no matter how many spritz of water they doused them with to make them appear fresh. I remember asking Terry about it, who being a farm kid, tended to have more of a pulse on produce than I did. "Baby, what's wrong with the fruit and the vegetables lately?" "They never seem to have any flavor to them anymore. It's like someone sucked the soul right out of them." "You're right. 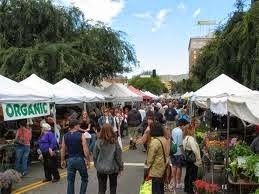 I noticed that too..."
That was when Terry decided to introduce me to (and reacquaint herself with) the Farmers Market. She dug out her old market basket in preparation, and that Saturday morning, we woke up early and made our way to the venue. As we entered the grounds and walked past each grower's stall, the first thing that struck me was the fact that you could actually smell the fruits and vegetables! While they didn't have quite the uniformity of the produce in the supermarket, they more than made up for it in taste from the offerings that they growers sampled to us. I remember the salad she fixed for us that night, made from the items of our haul. There was no amalgamation of flavors here. Instead with eat bite, the vegetables seemed to shout out their names as present in this culinary role call; "Jicama here!" "Spinach present!" "Cucumber, yo!" My taste buds noted each vegetable in turn, as I relished every bite. 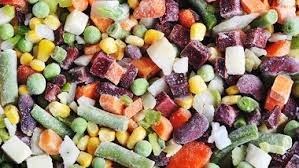 I honestly could not remember ever having a salad that tasted so good. on growing crops has turned to increasing their yield and uniformity, with taste being sacrificed on the altar of profit and greed. To misdirect us from what's really happening, we are bombarded by slick ad campaigns telling us what we really want. Commercials fill the air waves with perfect nuclear families of fresh faced children and wide eyed fathers, all impressed by the savvy and wisdom of the supermodel wife and mother who chooses a bag or box of name brand flash frozen fruits or vegetables because she wants to serve the best most "natural" food to her family. After beating this drum year after year, convenience foods have replaced what we used to know as real, while frozen fruits and vegetables have become the new "fresh" food. Bland flavor, and the mouth-feel of wet pulp and moist cardboard have become the standard for the new taste of fresh produce. I believe we inherently know how to select what is good for us. 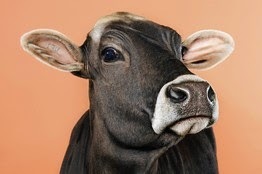 We just need to retrain ourselves to lean on our own good judgment, and to put less stock in what the advertisers say. When you rely on your senses to pick out the best fruit for example, you quickly learn that if you can't smell it, the quality is lacking and you should pass it up. 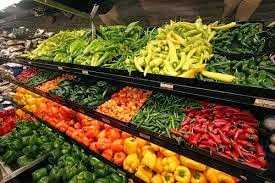 As Terry and I stepped up our own food education, we learned that there were far better places out there to shop for our produce needs besides the sterile big name supermarkets. 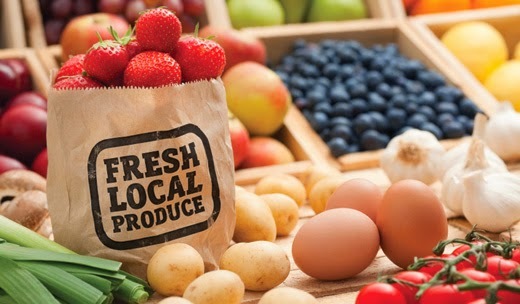 In addition to the local Farmers Markets, Co-ops and Country Market stores have great selections of fresh fruits and vegetables. Farm stores in rural areas can fill the bill as well. 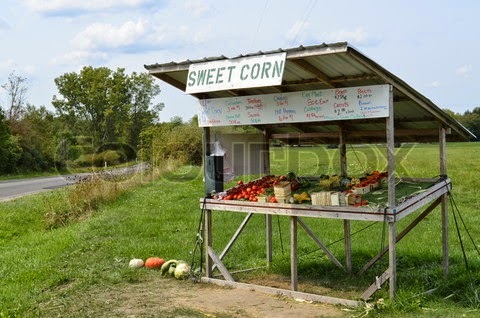 Heck, even the offerings from a roadside stand put chain store produce to shame. 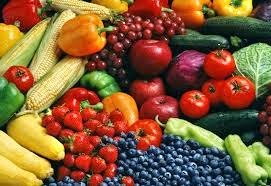 Farm direct, local and organic fruits and vegetables just plain taste better. Don't believe me? Try it for yourself by doing your own taste test with a pint of organic strawberries and a pint of their supermarket counterparts. 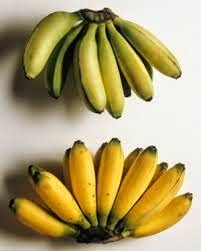 Or use bananas. I assure you, you will notice a big difference! With summer upon us, this is the perfect time to break free from food in a box or bag, and experience once again what produce is meant to taste like. While it might take a little effort to seek out these points of sale, the flavor and taste of the real deal are well worth it. Summer is the perfect time to redefine our definition of what constitutes fresh and natural. We wholeheartedly encourage you to give it a try. Here's a little word of advice: "If food has to be advertised on TV to get you to buy it, it probably isn't worth eating." Check out the video here on how advertisers try to manipulate our definition of the word "fresh." 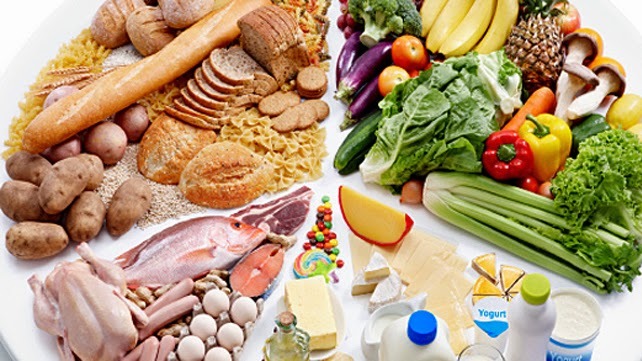 As I spend time doing research on healthy eating, I am as constantly amazed by the number of health benefits derived from foods, as I am of their sheer diversity and variety. 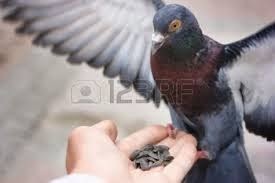 One of my favorites since the age of childhood is the humble Sunflower seed. I clearly remember hanging out with the fellas, sitting in the shade on someone's stoop during the heat of the day while chomping on these bad boys during the dog days of summer. As kids we didn't have much money back then, but they were the perfect inexpensive snack to get at the corner store with the small amount of cash we earned from cutting grass or doing odd jobs. The stoop would become littered by mountains of shells that we thoughtlessly spit out as we turned our concerns to the usual things kids talked about, until we got caught by somebody's mother, and made to clean them up. The salt ravaged our cheeks from the handfuls of sunflower seeds we poured into our mouths, until it was soothed away by copious amounts of ice cold root beer or a can of Tahitian Treat. Ahhh, the memories! The Sunflower has an interesting history. 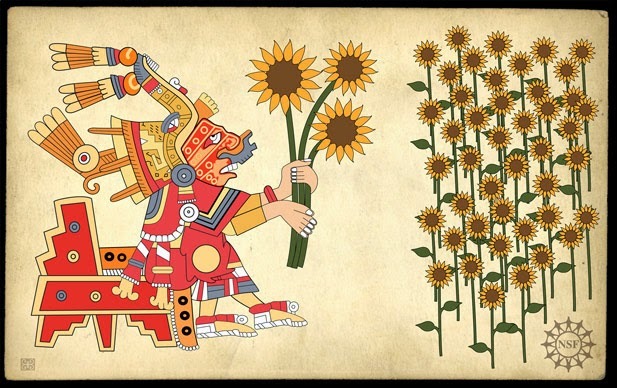 First domesticated in the Americas almost 5000 years ago, it was worshiped by the ancient Aztecs and Incas because of the flower's resemblance to the sun. Native American tribes ground or pounded the seeds into flour for cakes, mush or bread. There is evidence that they were the first to squeeze the oil from the seed, using the oil in making bread, for medicinal uses, and as a treatment for skin and hair. 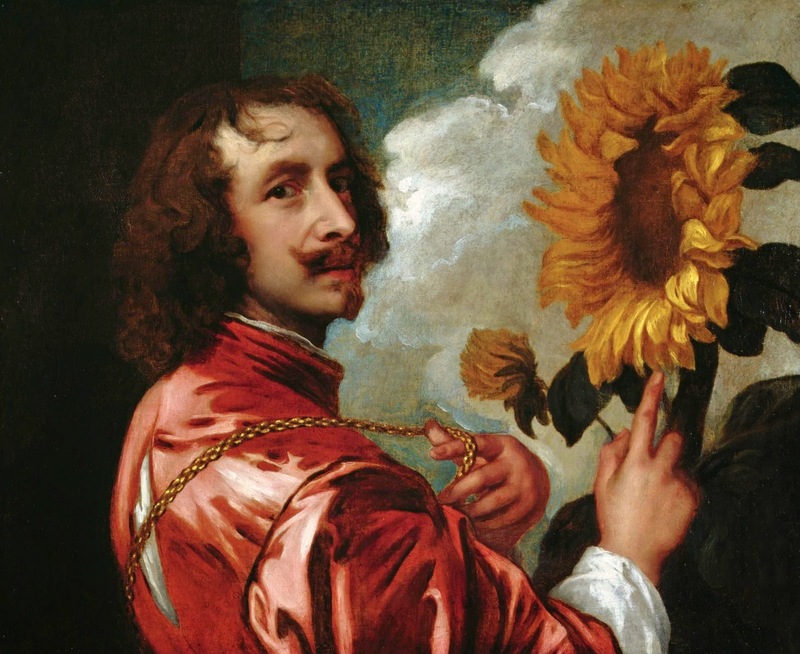 Spanish explorers in 1510 brought Sunflower plants back home where they eventually spread throughout Europe and to the world at large, eventually become an important staple crop to many countries, including Hungary, Turkey and China. 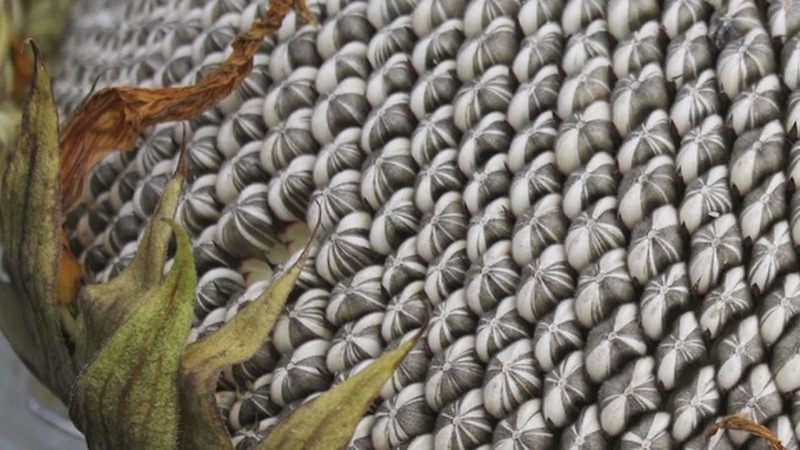 In 2012, over 37 metric tons of Sunflower seeds were produced throughout the world. Interestingly enough, the largest amounts were produced in the former Soviet Union, with Ukraine and Russia producing 8.39 and 7.99 metric tons respectively. Back in the 18th Century, due to the fasting requirements of Russian Orthodoxy, Sunflower oil was one of the few oils that are permitted to be used during Lent, which increased its popularity and importance. 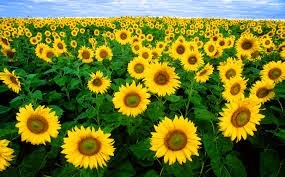 It had become so important in fact, that over time, Ukraine has made the Sunflower its national flower. The simple beauty of the flower itself led to become a subject for many artists including Vandyke and Van Gogh. Here in the United States, where the sunflower is grown predominantly in the Midwest, it has become the ubiquitous symbol of idyllic country life, and natural living. Kansas has even adopted it as its state flower. Clustered within the "heart" of the actual sunflower itself, sunflower seeds are not seeds in the traditional sense but rather the fruit of the plant, with the core nestled within a hard outer hull called an achene. The edible part inside is referred to as the kernel or "nut." 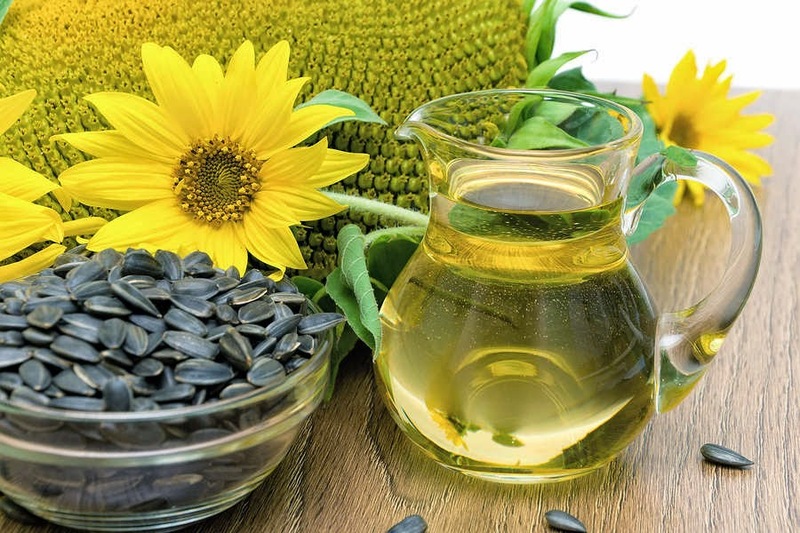 Sunflower seeds are commercially divided according to color, with the all black or "black oil" seeds pressed to make sunflower oil, and the striped seeds or "confectionery seeds" used for food products. 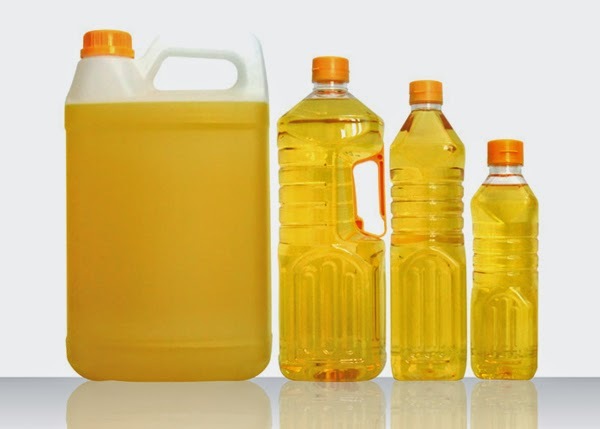 Both types are a main source of polyunsaturated oil. 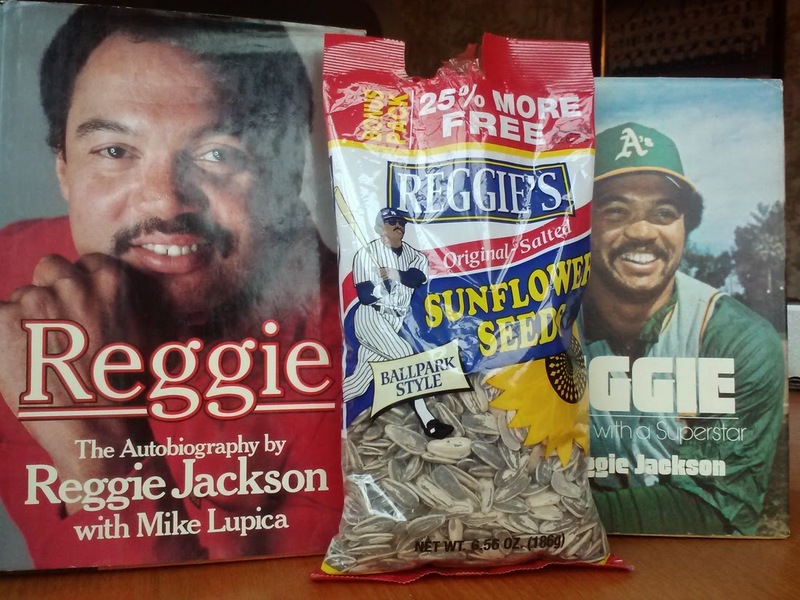 While people in this country enjoyed sunflower seeds as a snack, its popularity soared in 1968 when baseball legend Reggie Jackson began eating them in the dugout during games. Players began to use them as a healthy alternative to chewing tobacco which was becoming a more distasteful part of the baseball tradition. College and Little league players emulating their favorite major league stars, took to chewing on them as well, and the rest is history. 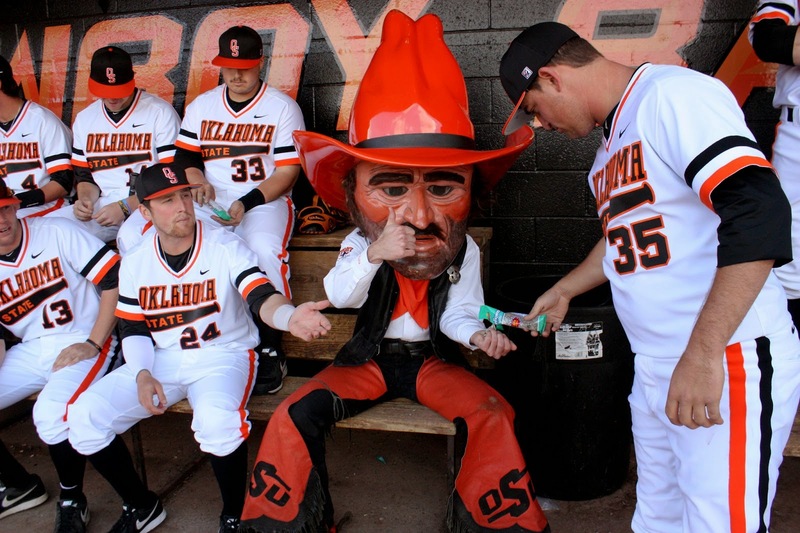 Today sunflower seeds are almost synonymous with the game of baseball itself. Though some people view sunflower seeds as either "bird food" or the feed doled out to domesticated rodents, they are pound for pound one of the healthiest and most satisfying foods you can eat. 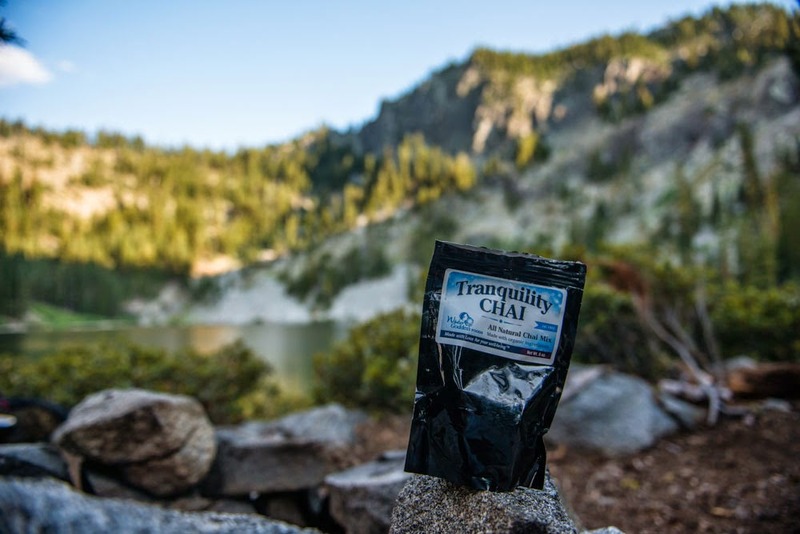 Available year round, just a handful of these little powerhouses can satisfy your hunger and provide the body with important nutrients at the same time. Sunflower oil not only offers a healthier alternative to typical vegetable oils, but is also used in the cosmetic industry. and as a carrier oil for massage, due to its beneficial properties on the skin. After the oil is processed, the remaining protein rich "cake" is used in livestock feed. As seen in the table below, just a quarter cup or less than a handful of sunflower seeds is packed with vitamins, providing the body with much needed nutrition and support. In addition to being a great source of dietary fiber, Sunflower seeds sport high levels of protein, amino acids and minerals. Sunflower seeds are an excellent source of Vitamin E, the body's primary fat-soluble antioxidant. Vitamin E has significant anti-inflammatory effects that result in the reduction of symptoms in asthma, osteoarthritis, and rheumatoid arthritis, conditions where free radicals and inflammation play a big role. Vitamin E has also been shown to reduce the risk of colon cancer, and coupled with the seed's high phytosterol content assist in lowering bad cholesterol and heightening immune system response. Sunflower seeds are also a good source of copper which helps the body produce melanin, a pigment protein that helps give your skin and hair their color. Melanin molecules absorb ultraviolet radiation from the sun, protecting you from tissue damage as a result of sun exposure. Copper also supports your metabolism to help your cells produce energy. Sunflower seeds provide the body with much needed magnesium. Numerous studies have demonstrated that magnesium helps reduce the severity of asthma, lower high blood pressure, and prevent migraine headaches, as well as reducing the risk of heart attack and stroke. 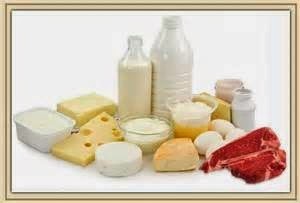 Magnesium is also necessary for healthy bones and energy production...and the list goes on and on. 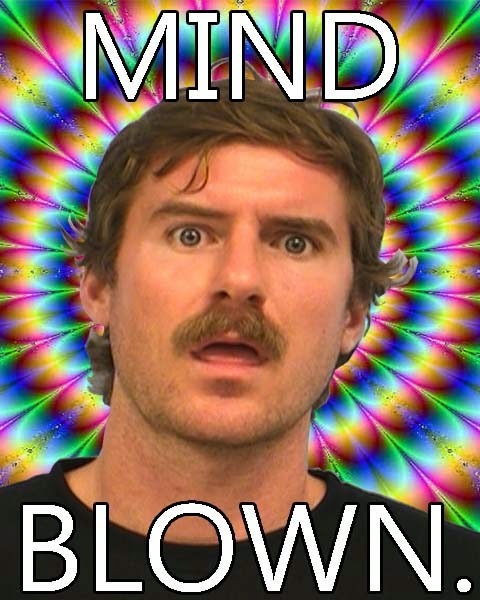 Another good thing to know is that sunflowers are considered to be "weeds" by grain and produce farmers. Because of this and the high proliferation of wild sunflowers, genetic engineering of sunflowers is considered unprofitable by private bio-engineering companies. No GMO's make enjoying the fruits of the sunflower worry free! Sunflower seeds can be enjoyed in a variety of ways besides eating them right out of the bag. You can add them to your favorite tuna, chicken or turkey salad recipe, use them as a garnish in a mixed green salad, you can add them to dough to make a hearty bread, or sprinkle them onto hot and cold cereals. The possibilities are endless. As a personal suggestion, I highly recommend that you try making popcorn with sunflower oil. It adds a light nutty flavor that is oh, so good! Do your body a favor and reach for the snack that is a "hit" with health conscious folks and ball players around the world. Help keep your body "safe" and knock hunger and bad cholesterol right out of the park. Sunflower seeds are truly Major League Nutrition! More more information on anything and everything regarding the sunflower, please click the link here and be enlightened. Depending on ideology, the Paleo eliminates foods that can be very beneficial for the vast majority of people who attempt to live by it. The article below attempts to establish that moderation and gearing towards what each individual needs is actually the better way to go. Besides, why should good tasting and beneficial foods be eliminated? Check out the link right here for the skinny! Hello folks! 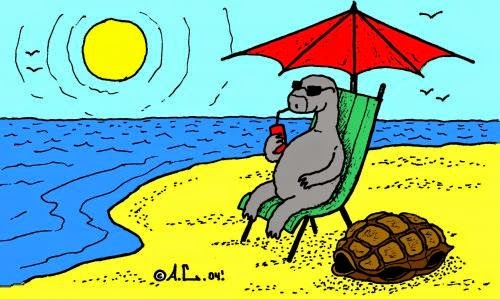 Due to health care concerns, I will not have my normal article this week. However, I came across an article last week and I want to share the link with you. One of the issues I am going through relates to a severe headache, and after seeing this article, I plan on using a number of the methods to beat it naturally. If you are having issues with headaches, or know someone who does, and is interested in taking a natural approach, I invite you to click the link below. We are beginning a new series on our blog, where every so often we will be highlighting one of our valued "Wholesale Partners" who feature Winter Goddess Foods products in their store or shop. We are proud to introduce these wonderful folks who support our business, and provide you with a little insight about the way they operate within our world. No doubt you have heard the phrase "Local boy makes good." While this is largely known as an American expression, everyone around the world can relate to it, and can point to someone in their community who has come up from humble beginnings to make a difference in their own neighborhood. Neil Oxendale is one such person. Nestled within the quiet Nokomis neighborhood sits what the local folks refer to as "the best kept secret of South Minneapolis." 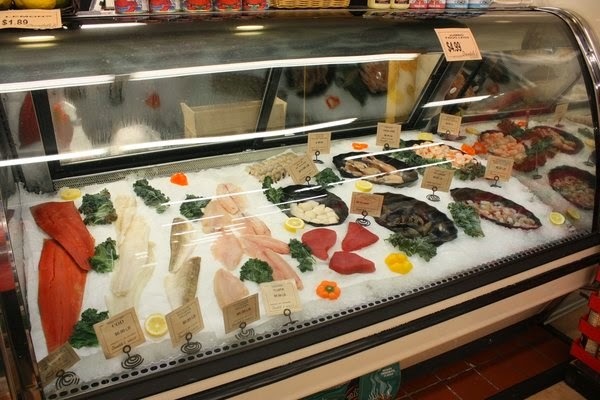 At first glance, Oxendale's Market may look a bit like your typical neighborhood supermarket, but there is definitely more here than meets the eye. 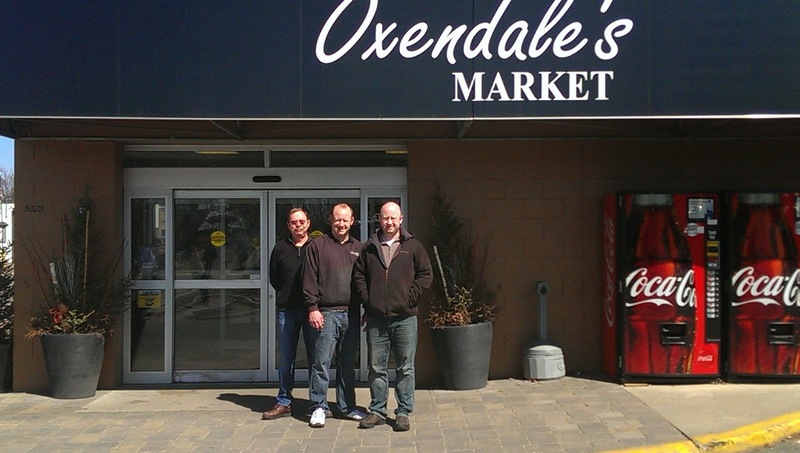 Oxendale's is a full service market that lacks the "big box" feel. 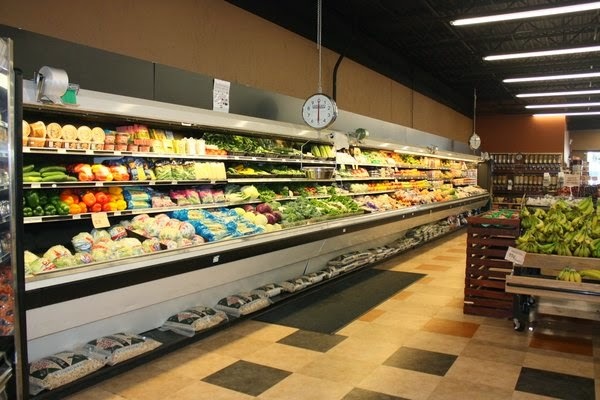 The idea behind it is very much intentional, in that this store reflects Neil's vision of a grocery that is responsive to the desires and needs of the people who shop there. "You cannot set up shop in a place and then tell people, 'this is what we are offering you, take it or leave it.' You ask your people, 'what is it you want?' Then you listen to what they have to say." This idea of being receptive to the needs of customers has been a part of this quiet, unassuming man's mindset from a young age, when he began working at this same location at age fifteen. Things were a lot different back then, when the store that existed there was run strictly for immediate profit, and was not a nice place to shop. Neil started working for them in the produce department, and eventually rose to the night manager position. At that time, customers would come to him with suggestions of products that they could carry, or even improvements to the store itself. Unfortunately when he passed the suggestions on to the owners, they fell upon deaf ears. Eventually the store fell into disarray, and finally closed its doors. In 2007, after scrimping, saving and much sacrifice, Neil Oxendale purchased his former place of employment, with a mind to develop a market that actually served the community and made food shopping a pleasure. It was an uphill battle during the first four years, and things weren't always easy. During the economic downturn, Neil brought in his family to help, which turned into the first of his two great moves. Not only did the store survive, but it began to thrive. His second great move was his discovery and decision to carry locally made products in the store. Initially Neil carried all of the typical name brand items that every grocery store was supposed to carry, but he was looking for something more to offer his customers. He attended the requisite food shows geared to buyers like himself, but found them to be boring and uninspiring. Then one day he attended a show and met Brian Ames, a local honey producer, and everything changed. Ames informed him about Co-op Partners, a distributor of local organic produce and products, and Neil discovered a whole new world. "I found out that there was this whole new subculture, local producers who were not only in business for themselves, but who actually cared about their products and the people who bought them, and passionate when talking about them. 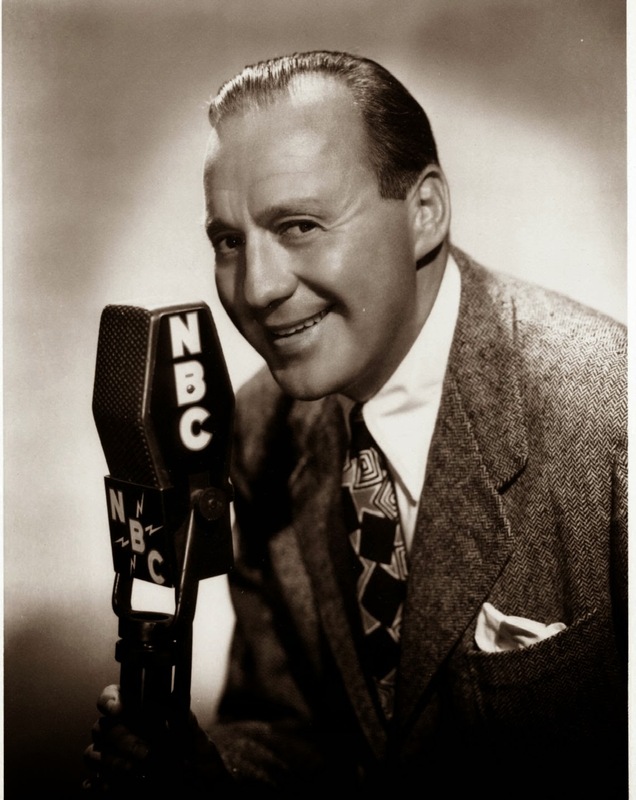 It was that enthusiasm which struck a chord in me." 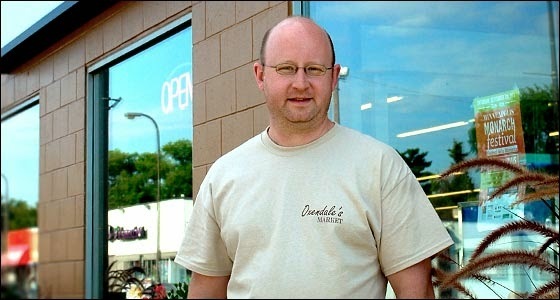 After his fateful meeting with Ames, Neil Oxendale began to seek out more and more local producers, and incorporated their products on his shelves. Initially there was a little resistance from some of his customers when things at the store began to change. He would hear cries of, "I don't want that organic stuff. You don't know what they put in it!" The irony that the fresher local organic products that he was bringing into the market were far better than the products he currently held on the shelves isn't lost on him. So in his own quiet bit of food activism, Neil used a strategy of "equal placement" while stocking his shelves, by placing a local or organic product next to an established name brand, to give his customers a choice in what they can buy. the food they eat, and demanding better, fresher products for their family. So little by little, he began to slowly educate his patrons on the benefits of local and organic products, by inviting the local producers to the store to sample and talk about what makes their products so good. Because of his growing belief that supporting local was the right thing to do, he began incorporating the products of more and more local vendors into his store, until rather than having to seek them out, these producers began to come to him. He spoke about why he prefers small producers over large food corporations. "Seven years ago, I was given a chance," he says. "I want to do the same for others. My focus is on having all the local guys in my store. There are a lot of good local products out there that need to be brought out into the forefront. In my view, I would much rather take a chance on an independent who has a bit of a following." In another effort to give back to the community, Neil Oxendale partnered up five years ago with the pastor of a local church, to revive the old Nokomis Days tradition, by hosting the Nokomis Block Party; a neighborhood celebration of community, music, food and fun held on the first Sunday after Labor Day. 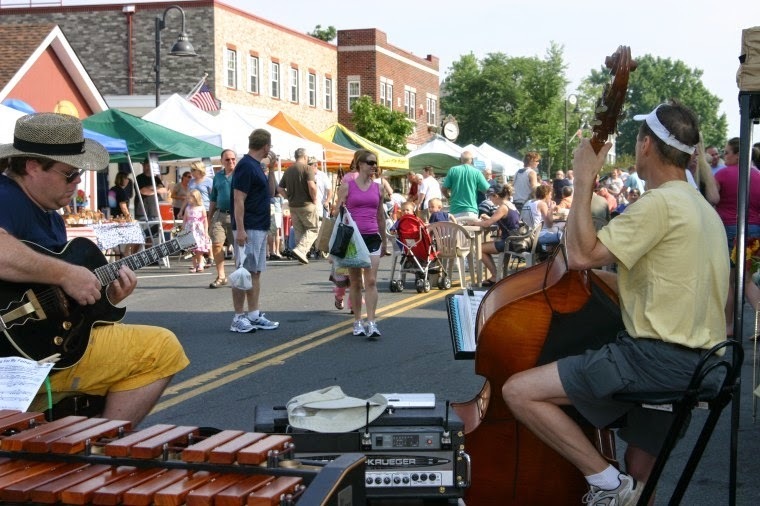 The sounds of local musicians and the aroma of cooking from the food trucks fill the air, as local artists, and artisans display their crafts and products for all to see. In an effort to help his producers gain more exposure, Neil invites local vendors with products in the store to set up a booth, and sell their goods during the event at no charge. Proceeds from the event gained from their annual corn roast, and other activities, support the Lake Nokomis Community fund, which in turn helps local schools and the local PTA. 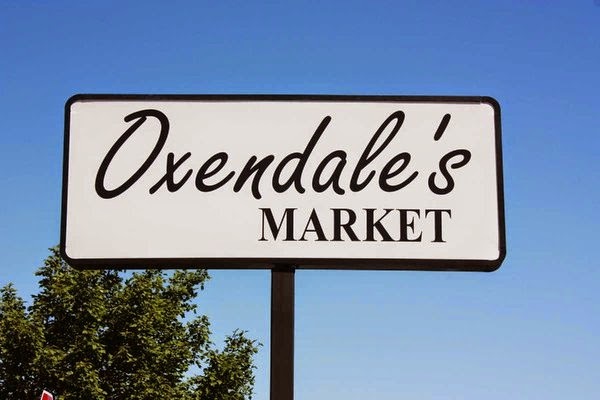 This giving back mindset has really paid off as more and more people are shopping at Oxendale's, looking specifically for local and organic products that are available right in the neighborhood. Through word of mouth, the word is spreading to folks not only in South Minneapolis, but to the Twin Cities Metro as well. Pretty good for a guy who was stocking shelves as a fifteen year old. "Local boy makes good" sums it up quite nicely! 5025 S 34th Ave, in South Minneapolis. Their phone number is (612) 724-4474. You can also find them on their website at www.oxendalesmarket.com and on Facebook. More information about the Nokomis Block Party can be found here. 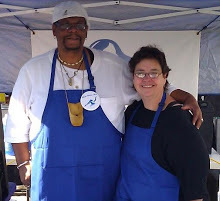 During the long cold winter, Terry and I had the privilege of being vendors at the Prior Lake Winter Market. This new endeavor provided local residents with an opportunity to experience the summer Farmers Market feel on a smaller, more intimate scale. 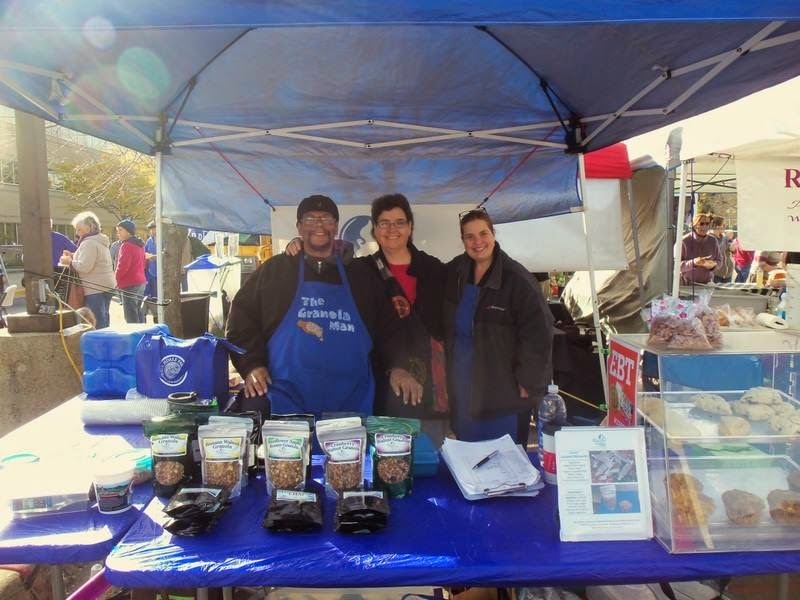 Winter Goddess Foods was so well received by the community and the vendors that we were invited to be a part of this year's summer market as well. While this is a major undertaking for our small company, forcing us to divide our resources, the positive energy and good vibes exhibited by the community make it well worth it. 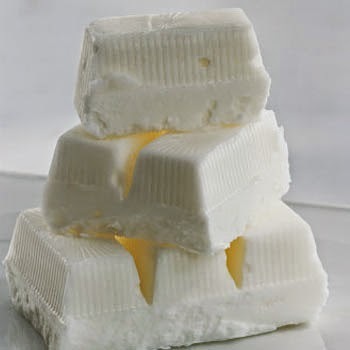 So as of next weekend, Winter Goddess Foods will be featured at two farmers markets! Allow me to bring you a little insight on this flourishing, and vital market. It began 13 years ago with a woman with a vision. Her dream was to have a market with a primary focus on vendors who not only offer organic and high quality products, but have care and concern about what they bring to the marketplace. Karla Haugen, a veteran vendor of farmers markets and indoor shows all around the Twin Cities Metro made a fateful decision, "We need this in Prior Lake." With that vision, the Prior Lake Farmers Market was born. She began by seeking out and recruiting 12 of the best vendors she had worked with in the past. She was able to procure a small place to hold the market; the parking lot of the old Brewberry Coffee Shop. She and the other vendors set up shop and waited for the traffic to begin. She never dreamed that the response from the residence would be so high that the local police had to come to the site and direct traffic. 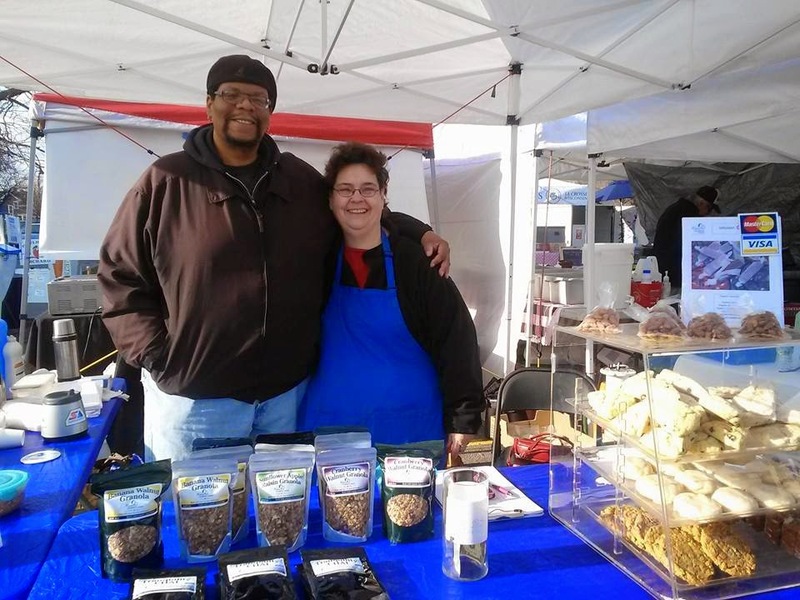 After the initial success, she took a grassroots approach to grow this new market, even recruiting her own children to pass out fliers and go door to door to let everyone know that Prior Lake now had a new market to call their own. As interest grew, Karla continued to add more and more vendors who were of like mind. People who bring a good feeling and a positive exchange of energy. "This is not about people focusing on making money," says Karla. "This is about community coming together." And indeed the Prior Lake community has come together in support of this wonderful market. Now in its 13th year, the Prior Lake Farmers Market has become the place to be, not only for the locals, but for folks all over the Twin Cities as well. Through Karla's drive, persistence and hard work, the market has become part of the local Chamber of Commerce, and enjoys the support of local business, including the Downtown Business Association. Responding to the request of local members of the community, the market has added more producers of fresh produce into its lineup of vendors, as well as new vendors with unique product offerings. But make no mistake, the market in not interested in becoming over large for the sake of growth, but rather, it strives to give residents the best that can be offered. "I'm more interested in quality than quantity," Karla pointed out. "And great positive energy." 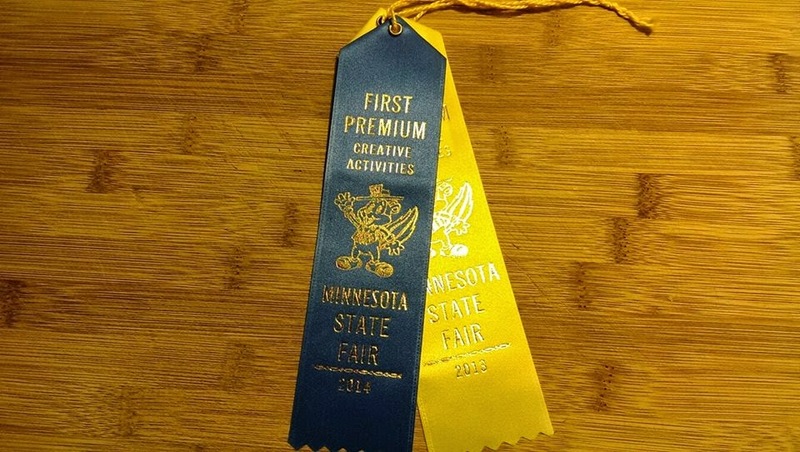 In addition to fresh plants, flowers, food and product merchants, the Prior Lake Farmers Market also features visiting artists from many disciplines displaying everything from pottery and iron work to woven crafts and literary authors. The strains of a variety of music will fill the air as musicians weave their magic to catch the ears of market attendees. A welcoming atmosphere will again fill Main Street as neighbors and strangers come together to enjoy this signal of the return of Spring. A unique aspect of this market, is what's called the "Market Basket," where donations of products and money are collected from vendors and shoppers, and delivered to residents of the community in times of need. The market has sponsored families who have suffered a job loss, folks who are struggling with a debilitating disease, residents who are hospitalized, or those going through the trauma of the death of a loved one. This care and concern for others is readily evident in the attitude of market participants. 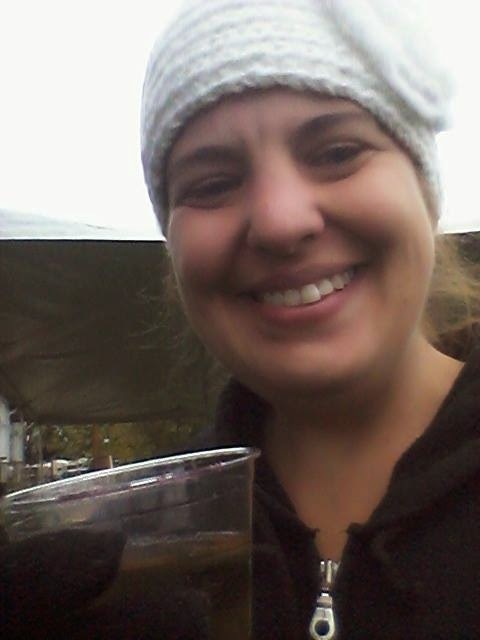 Karla reflects, "Our Farmers market is really in line with how I want the world to be. 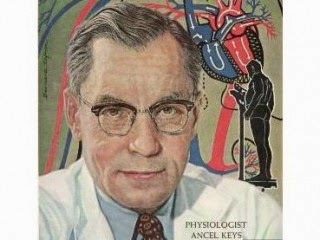 A place where good, healthy food is readily available, and where people come together and treat each other right." This year, the market has started an email list, where subscribers can get information on market happenings, as well as take advantage of vendor specials offered to insiders only. Sign up information can be found on their website. The market begins this Saturday, May 10th and runs through October. The hours are from 8 am to noon each Saturday, and it is located in downtown Prior Lake on Main Street, just off Highway 13 and County Road 21. If you're searching for a great place to hang out and shop, I highly recommend that you come on down, grab a cup of coffee or chai, and enjoy this great feel-good market.